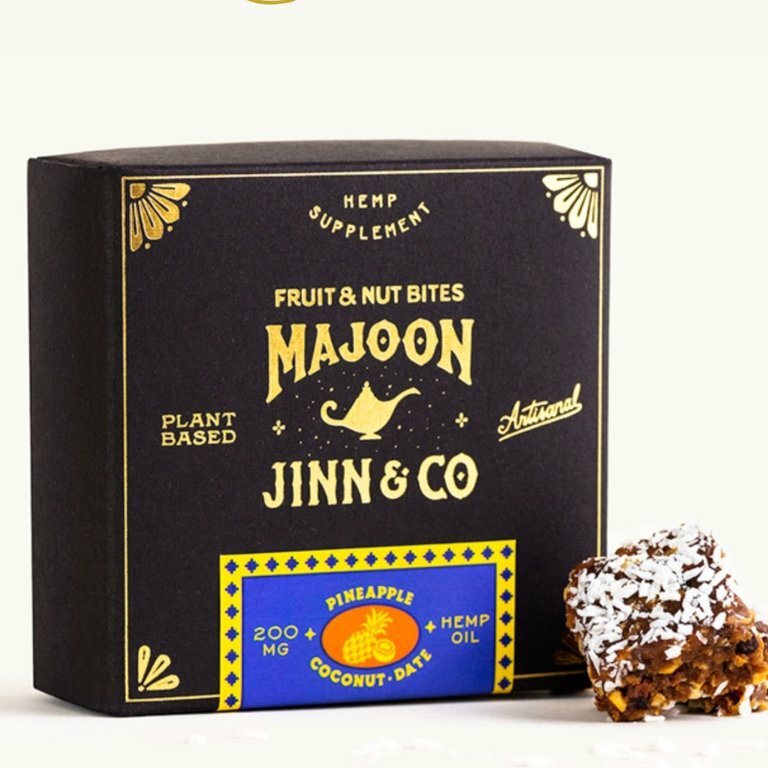 25mg hemp oil per pc, 8pc box, 100% plant-based, all natural ingredients. 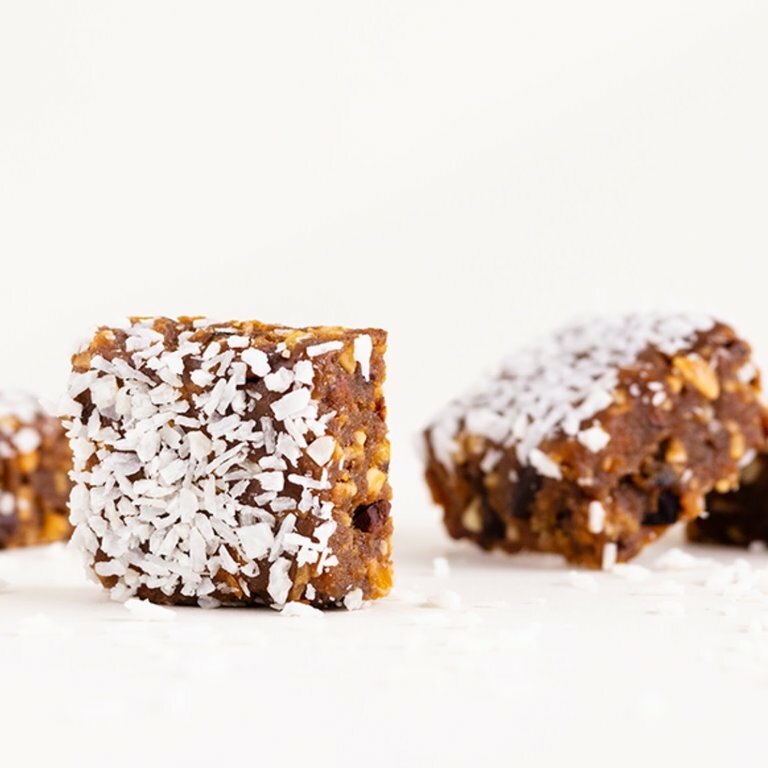 Beautiful and delicious confections are hard to find, but we are thrilled to have found these. 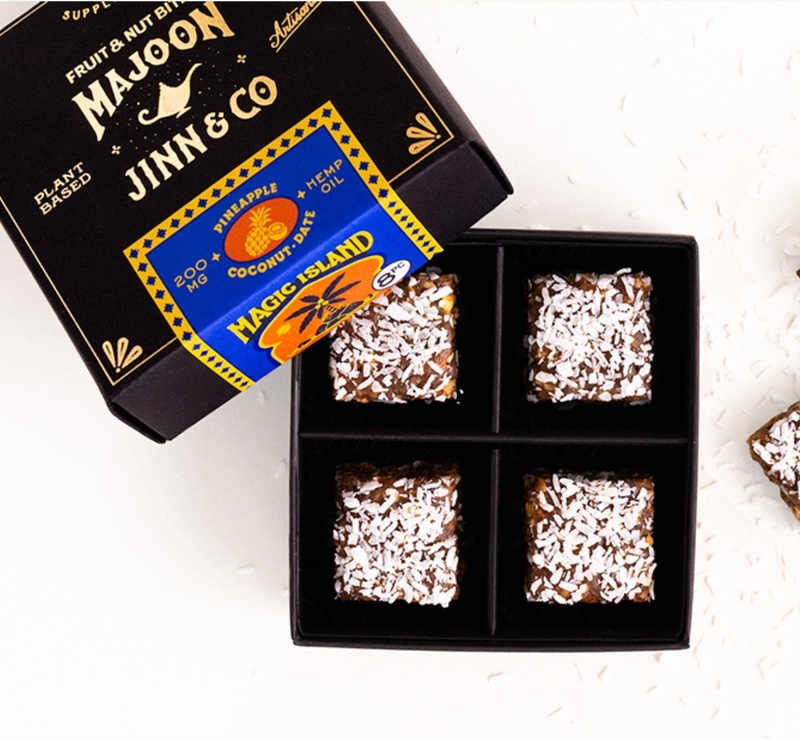 Majoons available in 2 flavors: Magic Island and Open Sesame. 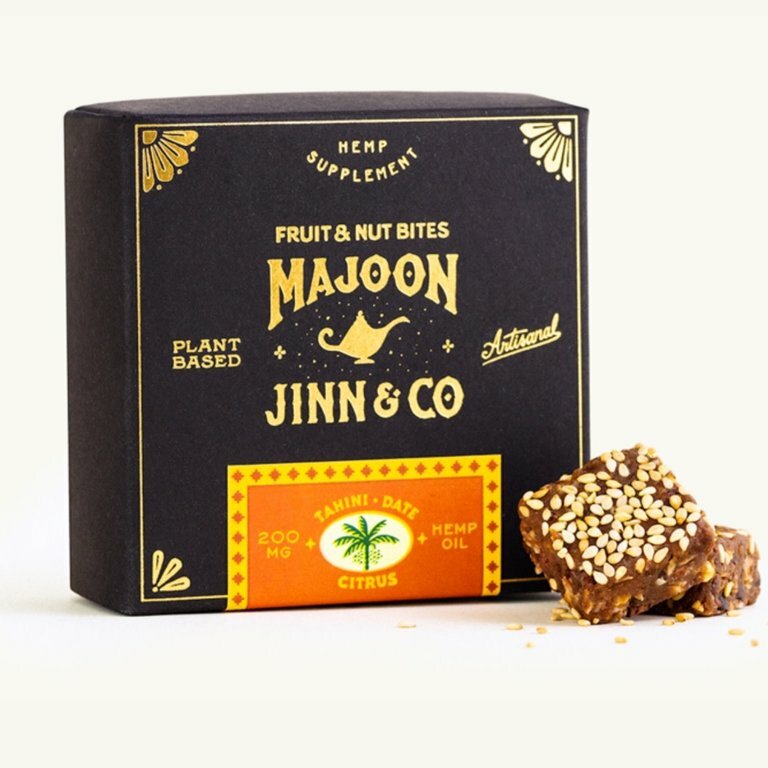 Although its exact origins are unclear, "majoon" (meaning “kneaded” or “paste”) is one of the most storied cannabis confections in existence, with literary references dating back hundreds of years, and recipes varying from house to house across Morocco. 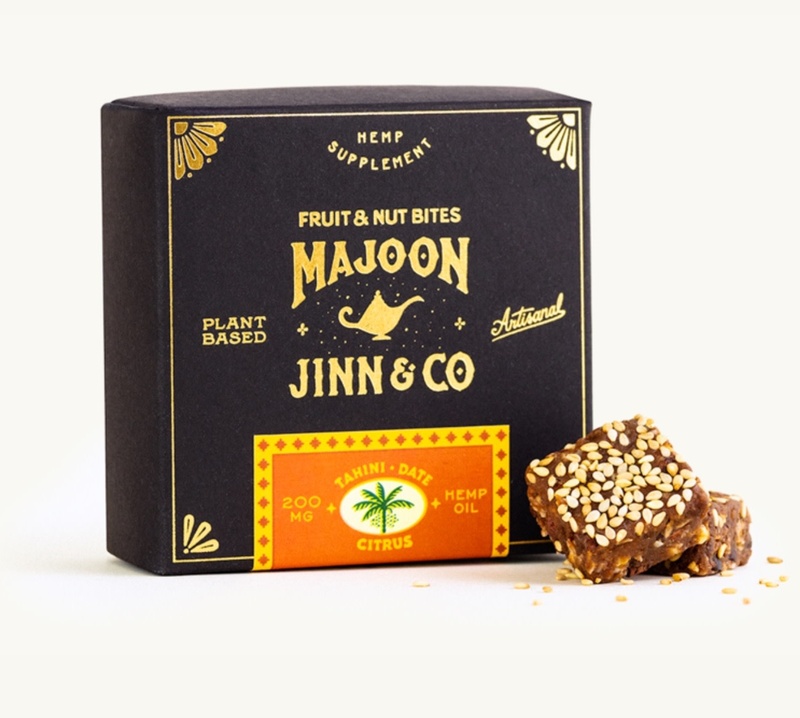 Jinn & Co's hemp oil infused interpretations of this time-honored treat are 100% plant based with zero added sugars, artificial colors or flavorings. 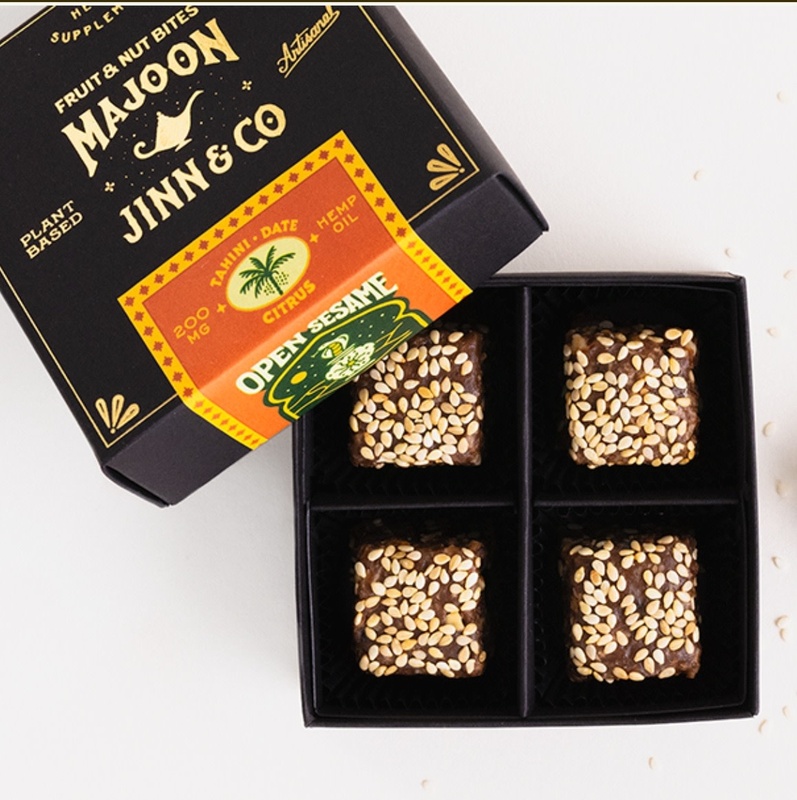 Handcrafted in small batches the artisanal way. 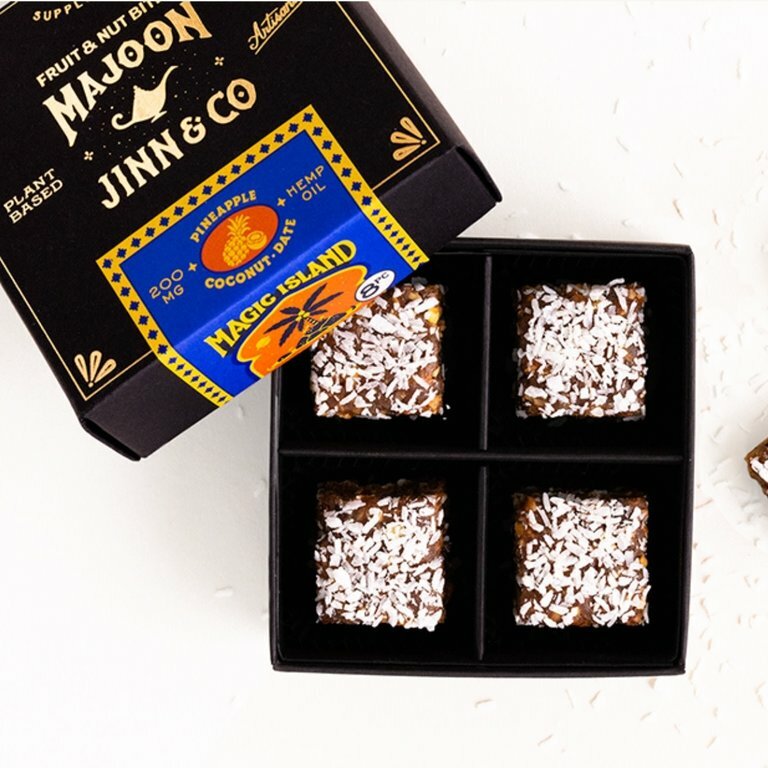 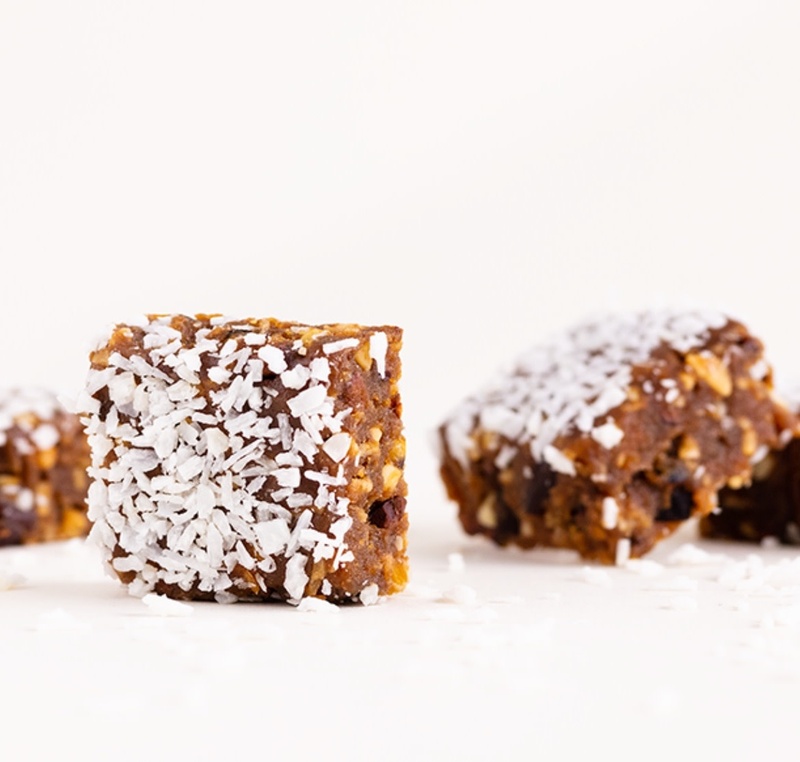 Magic Island combines organic dates and roasted cashew butter with pineapple, toasted coconut, mango, cacao nibs and more to deliver bold tropical flavor. 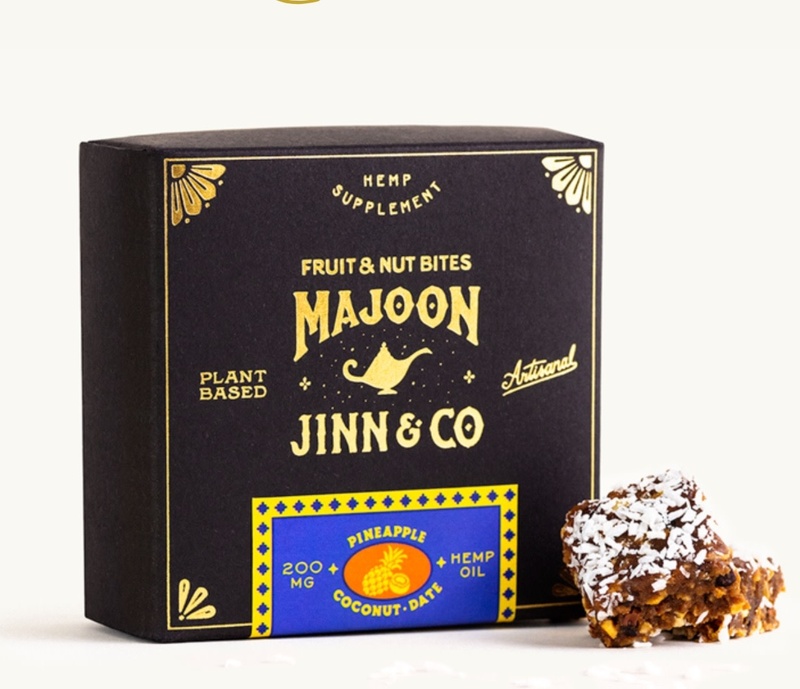 25mg hemp oil per pc, 8pc box, 100% plant-based, all natural ingredients. 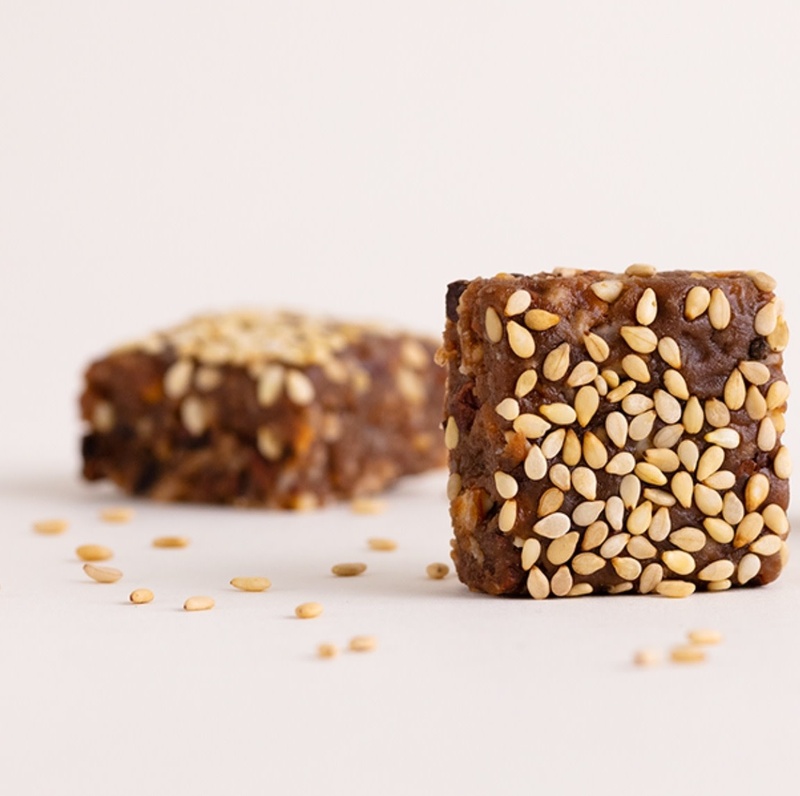 Open Sesame explores a classic middle-eastern flavor palette combining sweet organic dates with creamy tahini, dried apricots, cacao nibs, nuts and more to unlock flavor worthy of the magical incantation.